Every customer interaction is part of a much larger journey. When they buy from you, that transaction is only the beginning of a (hopefully) much longer relationship. The moments before and after buy-in are equally important, too. If they were impressed with your website enough to purchase from you, for instance, but didn’t receive their product on time because of slow shipping, they may not buy from you again. Every part of their journey is essential to longevity, and it only takes one weak link in the chain to derail an otherwise successful relationship. On the other side of that coin, without viewing your workflows as part of a bigger picture, you may not be able to create processes that actually benefit customers. Here is a look at how workflows impact the customer journey and how you can set your organization up for success with every interaction. 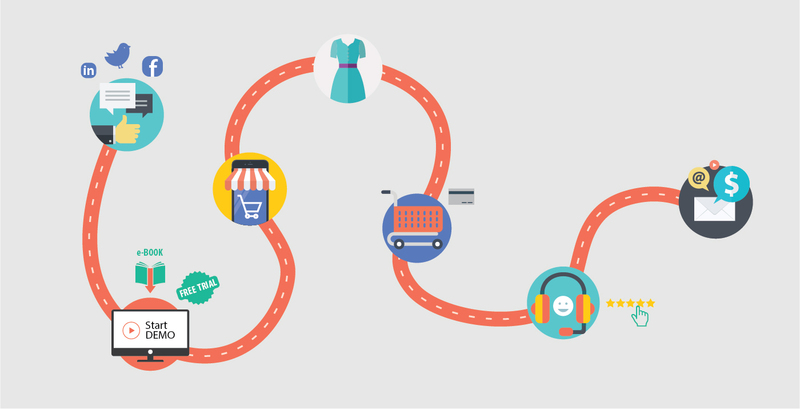 What Does the Full Customer Journey Look Like? The customer journey spans a variety of touchpoints by which the customer moves from awareness of your organization to engagement and, finally, to purchase. A customer touchpoint is any moment when a customer comes into contact with your organization. Your ultimate goal is to make sure your customers are satisfied every step of the way, and that each interaction moves seamlessly to the next. The three most common areas where customers will interact with your organization are before transaction, during transaction, and after transaction, and each come with their own set of touchpoints. Before transaction: This could include marketing efforts, such as online advertising, your website, customer referrals, Yelp reviews, or other online or in-person impressions of your company. This is where customers become aware that you exist and that you have something to offer them. During transaction: Your actual point of sale environment could be a physical store or a website (or both). In this case, customers are interacting with your digital platform, sales team, call center, customer support or other processes that come along with purchasing good or services from you. This is the buy-in to your organization’s offerings. After the transaction: This involves everything that comes after the purchase itself, including billing and invoicing, customer support, questions and returns, and even customer feedback, newsletter sign-ups. This is where customer satisfaction becomes an important part of the journey if the relationship is to continue. Each smaller interaction (receiving an invoice from your finance department, for instance) is a touchpoint: an opportunity to impress (or dissuade) further touchpoints. How Do Workflows Fit In? Each area – before, during and after transaction – involves workflows that help support every touchpoint and ensure that each part of the transaction is completed on time. When workflows function as they should, the entire experience will be harmonious and, in a way, imperceptible to the customer. They will simply “experience” your organization without second thought. However, when workflow processes don’t work as they should, customers notice, and more often than not, they will let you know. That’s why it’s essential that workflows are mapped out as clearly as possible to ensure a completely seamless experience throughout the entire customer journey. In order to create workflows with a larger picture in mind, you have to start by mapping the full customer journey. According to Harvard Business Review, a customer journey map is simply a diagram that illustrates the steps your customer(s) go through in engaging with your company. The more touchpoints you have, the more complicated – but necessary – the map becomes. If you offered translation services, for example, you would identify a customer persona (those who need translation done), capture their motivations and goals (e.g. have a document translated from English to Spanish), and break down those goals into touchpoints (initial inquiry, etc. Mapping out individual workflows is an essential part of turning single customer touchpoints into an actual journey, so it’s important to get it right. The more accurate and seamless each workflow is, the more seamless the overall customer journey will be. Keep in mind that if there are bottlenecks or breakdowns in your workflow, it impacts your relationship with your customer. If they don’t get an invoice on time, or something ships late or not at all (and they have to contact customer service), you may not get another chance in the future to correct those errors. Retaining customers over the long haul is not only a matter of having a product or service they want, it’s a matter of meeting their needs at every step of the journey and consistently providing the best service possible. Mapping out both the customer journey and your individual workflows will help minimize delays and redundancies, meet customer needs and goals, and help you communicate clearly between various departments and teams within your organization. Creating visual structure for the customer journey will also help you spot potential issues that would prevent customers from interacting with you in the future, before they ever occur. The more efficient your workflows become, the better your overall customer journey will be, and the longer the relationship will last. But it’s equally important to understand the customer journey before creating your workflows, as it gives you the overarching reason why you do the things you do. 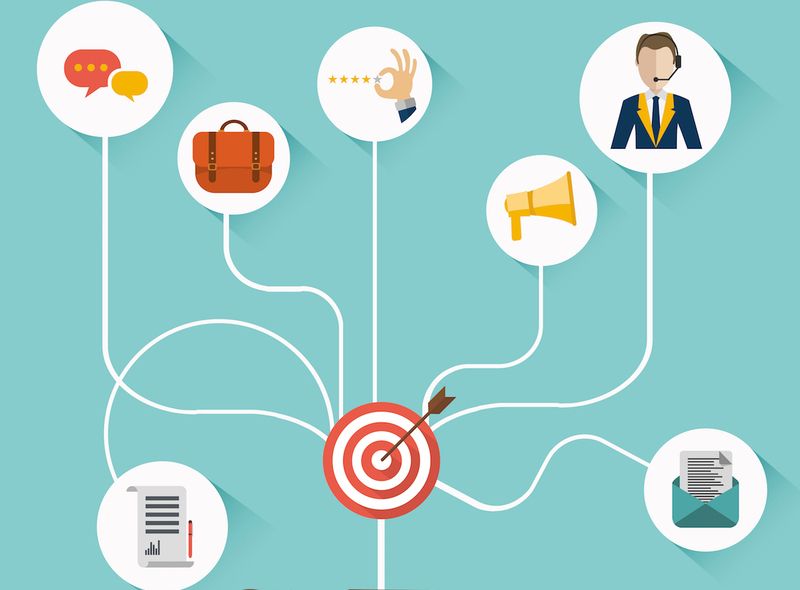 This guide will help get you started mapping out customer journeys and workflow processes. Subscribe to download this free resource.